Lake Lanier encompasses 38,000 acres of water, and 692 miles of shoreline at normal level. a “full summer pool” of 1,071 feet above mean sea level. 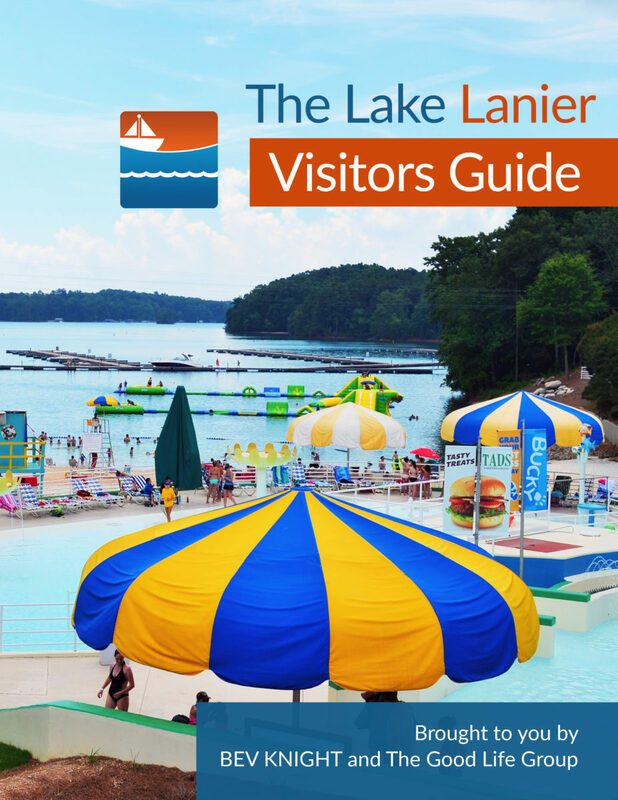 A “full summer pool” at Lake Lanier is 1,071 feet above sea level. However, in recent years, lake levels have often dropped up to 20 feet, before returning to full pool. At Buford Dam, which is the deepest part of Lake Lanier, the lake is more than 160 feet deep. The lake is in Hall, Forsyth, Dawson, Gwinnett, and Lumpkin counties, split about 60%, 30%, 5%, 4%, and 1% respectively, filling the valley into numerous small arms and fingers. Current year water level information, historical averages and four week water level forecasts as they relate to the Lake Lanier Action Zones. The record low level of the lake occurred in December of 2007 when the lake fell to an elevation of 1050.79 ft, approximately 20 feet below its full level.The record high was in April of 1964 when the lake reached elevation 1077.2 ft, approximately 6 feet above its full level. Lake Lanier’s water level will rise and fall depending upon several factors including periods of drought or heavy rain, hydropower production, flood control, and downstream fish and wildlife management. Water supply is also cited as a factor and is currently at issue regarding the lake’s ultimate list of legal purposes (see Controversy section). In addition to an overall unappealing look, there are many tangible downsides to low water levels at Lake Lanier. They range from stress on area businesses that depend on a high volume of lake activity to lakefront home values to how often someone in Atlanta may water their lawn. Browse articles relating to Lake Lanier water levels in our archive. One of the main purposes of the lake is flood control downstream of the lake, mainly protecting metro Atlanta. There have only been two major flooding events on the downstream section since the construction of Buford Dam. The most recent flooding event was in 2004, after the remnants of two major hurricanes (Hurricane Frances and Hurricane Ivan) dropped huge amounts of rainfall across the area. The Lake Lanier Basin encompasses a relatively small section of North Georgia. In December 2007 at 1050.79 feet, how many days water was remaining ? in Dec 2007 with Lanier’s level at 1050.79 feet, about how many days of water was left based on recent withdrawals at t6hat time? Where can we find the daily release of water at Buford dam? Do they “forcast or project” future releases? Who in the corp make that decision? Is it made daily or months in advance? Click on the link below, then choose Buford Dam from the drop down menu.